Continuous investment in attracting and training skilled professionals on the one hand and in machinery and equipment on the other hand is an essential key for our company to be optimally positioned now and in the future. Our factory halls are thus filled with state-of-the-art machineries. We achieve the production of big and thin press sizes through a series of sinter presses of different formats. 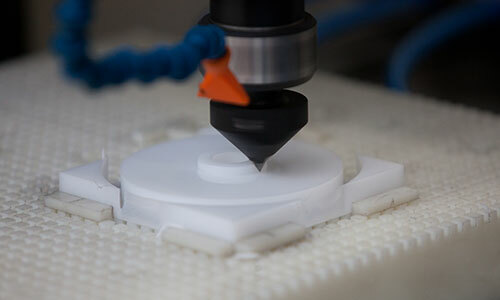 For improvement of the material, we have different milling machines available, starting from a simple small-format 3-axis CNC milling machine to 3D 5-axis CNC simultaneous milling machines for the production of highly complex objects. 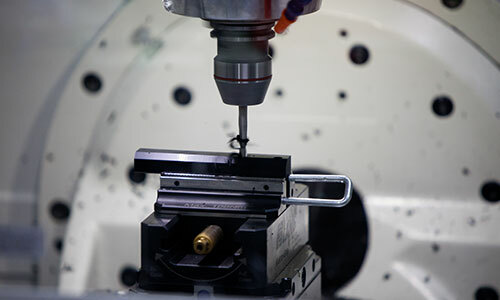 Various CNC-supported drilling machines and turning lathes as well as automatic profile machines (with up to 13 sequential milling units) enable high quality standards, effectiveness, flexibility and reliability to delivery dates. 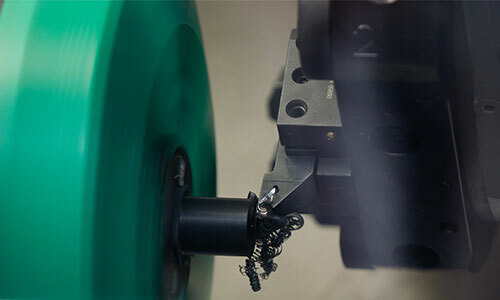 Our machinery for the production of highly complex finished parts is one of the most modern in the plastics industry. Many different machines are already being equipped by the use of automation, in the form of robot arms for loading or in the form of closed automation centers. Nonetheless, even today, whenever economically feasible, conventional machines are also used to complete the machinery. In order to meet the high demands in terms of efficiency and flexibility, we produce in a three-shift system both in the sheet materials department as well as in the machining department.